Great Value. Highest Quality. Guaranteed. Need Grass in Dallas or Fort Worth? 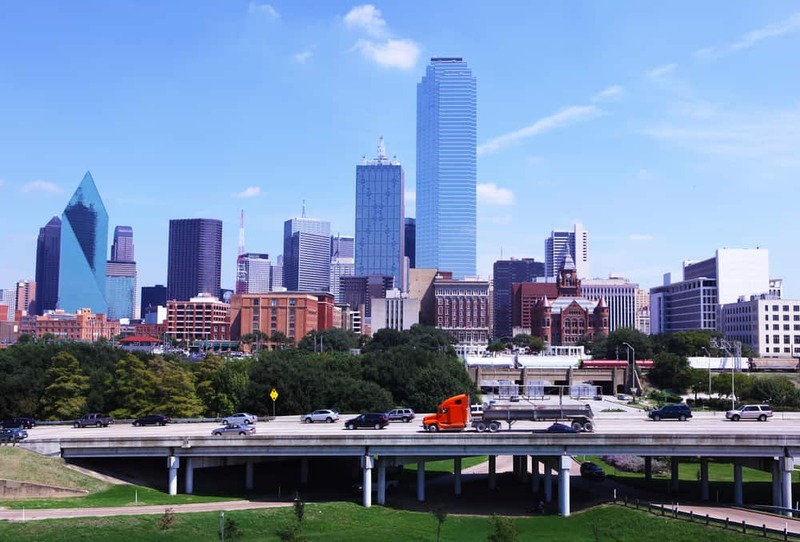 We deliver high-quality sod grass to the Dallas metroplex area. Our turfgrass is grown on our family farm outside of Houston, and our grass arrives to you with no middlemen. We grow the grass, we harvest the grass and we deliver the grass to your house. As part of our commitment to delivering the freshest grass possible to our customers, we won’t harvest the grass you choose until you’ve ordered it. With the proper care, the fresh grass we deliver will establish roots in your yard and give you a beautiful lawn for years to come. Want to know more about what kind of turf you can order from The Grass Outlet? Read about the 10 different varieties of grass we offer. By offering so many varieties of turfgrass, we feel confident that you’ll be able to find a grass to suit any level of shade-tolerance or drought-tolerance that your lawn needs. We’re dedicated to providing excellent products and customer service to our clients. Have a question about which variety of grass is best for your needs? Call our office. We’re happy to help our customers pick the type of grass that will make their lawn the most beautiful. If your zip code isn’t listed, Call us! Our office may be able to help!